Do you wish to designate your gift to a specific program? Your gift will be used to care for the hurting and forgotten, reach the unreached with the Gospel, and prepare new Christians workers to meet growing needs. Thank you and God bless you! Help SGA erase the shortfall for important projects before year end! All online donations must be made by midnight, December 31 (CST) to qualify for tax deduction in 2018. 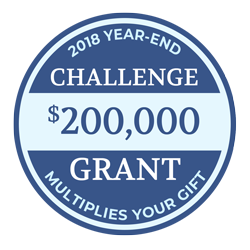 PLUS: Gifts will be doubled by a Challenge Grant, up to the $200,000 limit, if received by midnight, December 31.